In part one of this article(click here), I outlined a little of the life of the extraordinary American mystic Marie Rose Ferron. Because of the numerous emails and comments that I have received, (I received 3 comments on the 1st article in the past 2 days, for example) I have decided to create this second article, to provide a greater insight into the heroic life of Little Rose. I humbly submit this information on the life of Marie Rose Ferron with complete obedience to the authority of the Catholic Church, who alone has the power to judge the sanctity and holiness of individuals. 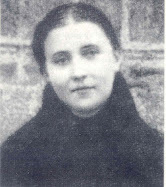 Since Marie Rose Ferron has not thusfar been Beatified or Canonised, this information rests on human authority alone, and this writer humbly submits himself, without reserve, to the supreme authority and judgement of the Catholic Church. The source for this information is from Rev O.A. Boyer S.T.L excellent book “She Wears a Crown of Thorns”, Benzinger Brothers, 1949. There was something noble in Rose that expressed the beauty of her soul. Nature had provided her with a beautiful face, full of grace and purity. At times, these seemed to radiate. I cannot conceive anything more attractive, more soothing. It affected me as if something divine was escaping from her. Rose was always beautiful; but on some occasions, beauty seemed to radiate from her, it was no longer human. The word transfiguration could be used without exaggeration. After her death, Mr. A. Desaulniers wrote an editorial in the "New Bedford Messager." I quote: "There are things that one can never forget; for us it is the radiant face of Rose Ferron. She was beautiful, but hers was not a natural beauty, but rather a mystifying one: a slight luminous emanation seemed to escape continually, from that angelic face." Her conversation was no less impressive, whether it bore on religious topics or on secular subjects. The word of God is holy, even in the mouth of a sinner; but when Rose spoke, it was from the abundance of a heart continually burning with God's love; her words filtered through a soul transformed into the temple of the Holy-Ghost; when she pronounced the Name of Jesus, it made you feel He Was near by; and when, ravished in ecstasy, she prayed to her Jesus, no words could express the beauty of her prayer any more than the emotions you felt. Those who saw and heard her, on such occasions, felt it Was something extraordinary, even unique. No books, however beautiful, could convey that impression. We felt in touch with the invisible and like St. Peter on Mount Thabor, we were loath to leave for we felt that it was good for us to be there (Matt., XVII, 4) . "Without education, having left school before she was thirteen, her speech was more astonishing for us, than the blood that flowed from her stigmata or the phenomenon of Weight which accompanied her ecstasies. She knew how to express her thoughts with words that were simple and proper. Her intelligence and her reasoning powers were beyond that of many educated persons." Humility and generosity mingled with a sense of humor made Rose one of the most charming and beautiful characters you could meet. Her modesty and her deep humility, together with a fear of vanity, kept her from making a show of herself. Although, she pretended not to believe in her ecstasies, and would speak of them as dreams, nevertheless, her parents were told to keep everybody away, when she was in that state. And she used still more prudence in the case of her stigmata. She was constantly holding back the curiosity of visitors, who were at times ruthless, vulgar, and boorish in their demands, and it was a most painful task for this delicate soul. Rose had a noble heart and a most generous one, especially towards her enemies; for Rose had enemies, no mystic is ever without them, not even those who lived in the city of Rome. "I think, I would fail," said Rose, "if I tried to hate and blame those who work against me. It seems, I love them still more; 1 am rather prompted to pray for them!" At times, she seemed to be in a caldron of trouble, she was the object of the silliest and meanest calumnies you could imagine; but Rose's resignation to her own misery made her exceedingly tender to the failings of others. Instead of blaming them, I would hear her say, while tears were rolling down her cheeks: "I am sorry for them, they are losing their merits." While Rose was suffering and receiving the sick and the afflicted, she always had a smile and was always ready to laugh. She was keen in seeing the funny side of things. When she laughed, an acute pain would generally pierce her heart. Although she watched herself, she was often taken by surprise and would burst out laughing. Then she would faint, and as her head fell on the pillow, her hand would rise to drop on her heart. At other times, she would try in vain to refrain from laughing and then burst out and laugh most heartily. We were all pleased when she escaped the penalty of fainting, but the pain generally followed. Rose was so fond of laughing, that even while in ecstasy, when she wept over her miseries, she found it possible to smile. With Our Lord, Rose was like a child; she cried, she sang and she laughed. And that seemed to please Jesus who makes his delights to be with the children of men. From midnight to 1 A.M., Rose made her "Hour of Reparation." From 1 A.M. to 4 A.M., she kept busy doing whatever she could. She had but one hand to use, and that was tied to a metal splinter. The tip of her thumb and that of her index finger, with the help of her mouth were the only instruments she could work with. "I cannot remain idle, my little Jesus wants me to work," said Rose to Father Leonard ... and when the priest marvelled over the work she could do with a hand like hers, she replied: "My Little Jesus comes and helps me." I have seen some of her work. In itself, it was not extraordinary; but it was marvelous that she was able to do it, when we know to what extent she was crippled. She made bookmarks with pictures and ribbons, she braided palms, fixed broken beads and made paper crosses and stars. I have one of those stars before me; the star is octagon; it was made from a strip of paper one inch wide and woven together. In the center of the star the strip bulges out in four places about an inch high and is twisted in spiral form, in the fashion of a rose bud. The strip shows no traces that it was crumpled or creased. I cannot see how the star was made; but even if I did, I could not do it with my two hands, with as much symmetry. Father Leonard rightly marvelled on seeing it. At 4 A.M., she dozed until 6 A.M. Rose told me she did not sleep. During her dozing hours she heard all that was going on. Except Fridays, the day on which she suffered the Passion of Our Lord, the door was open to visitors: they came from everywhere and went home fully re¬warded or empty handed, according to their dispositions. Some were simple callers, but the greater number were afflicted with diseases, sickness, family troubles, and what not. Amongst them were priests, nuns, men of every station of life, rich and poor; all felt at ease with her. They opened their hearts and spoke freely of their faults; and at times, to their surprise, she told them their innermost thoughts. Before parting with them, Rose gave them medals and religious articles which followed them with her memory, a memory so unique that it filled the mind and heart and stayed forever with them. The practice of giving religious articles became with Rose a sort of self-supporting institution. She had been thinking of doing something in that line, when two ladies gave her $10.00: with which she purchased some religious articles to distribute to visitors. Some were charitable enough to reimburse her, but by far, the greater number merely thanked her very agreeably for them. Rose always gave, she never refused, for she felt that God would give her the means, if she was to continue; she did continue for the supply never failed. On Friday noon, the articles were placed on her bed. After the drama of the Passion, while in ecstasy, she asked Our Lord to impart special favors on them, together with his blessing. After the ecstasy, the first priest that came along blessed them. Then, they were freely given, as freely as they had come; charity had brought them and charity gave them out; but after they came and before they went, they rested on her stigmatized body, as on an altar, and from her ecstatic hands, she begged Our Lord to bless them. Those who witnessed the scene, and who afterwards had one of those objects given to them, looked upon it as a relic and cherished it most dearly. Dr. Gendron of New Bedford writes: "I have a rose which was blessed in that way, on Good Friday. Rose told me to put its petals into a reliquary. I did it at her request, for she said they would be miraculous." THE ECSTASIES OF “LITTLE ROSE"
On August 31, 1934, I visited Albertine Lafontaine; she was then living in Foucher St., Montreal. When I called she was in ecstasy; she was seated in a wheel chair, and completely covered with a blanket which was tucked up behind her head. It required some effort to remove the blanket; as I pulled it down from her face, something seemed to hold it back. I tried to move her, but nothing would move, not even the chair. Her eyes were closed and she seemed asleep. She did not seem to have any feeling nor to be breathing; her body was cold and as hard as a stone. Nothing could give you a better impression that you were handling a statue; all this was coupled with the phenomenon of Weight, a supernatural force that seemed to nail her to the floor. After covering her face with the blanket, I hurried out to usher in others of my party. When we returned, the blanket was just as I had found it when I first entered. It was firmly tucked up behind her head. I did not attempt to remove it again. In the party, there was a man, his wife and her mother; all of my parish. After telling them that Albertine was a mystic and that she was actually in ecstasy and that she had been so for two weeks, I pulled on her, with all my strength, to see if she would yield, but neither she nor the chair moved. My companion, strong and robust, tried it also, but in vain; his wife and her mother made the same experiment, with like result. Then bending one knee, I took the wheel and turned it, with the intention of moving the chair. With great effort I managed to make it turn about thirty degrees, but on releasing it, the wheel sprang back into place. Then, taking the same position in front of the chair, and grasping the two wheels, I pulled in my direction until the wheels squeaked and threatened to break. The only thing that moved was the old linoleum that curled and twisted in front of the wheels. My companion tried the same experiment, but also did not succeed. The two women refused to try. They were looking on with surprise. This is a classical case of ecstasy. I have mentioned it to make you understand the ecstasies of «Little Rose," which were of the same kind. Both had the muscular rigidity which is an habitual phenomenon of ecstasy and when accompanied by that of Weight, it becomes one of the distinguishing features between divine and natural ecstasy. "About two weeks ago, while I was talking with Rose, she fell into ecstasy. At that very moment, her head slipped off the pillow and remained in a rather awkward position, so I tried to get her back in place, but I could not move her, she was as heavy as lead. When she swooned away, she was in the act of bringing her hand to her head, and her arm remained lifted. I felt uneasy for her, so I tried to straighten out the arm: but it would not move. She was like a marble statue. I did not dare pull, for fear of breaking her arm. She remained in that position for half an hour. Then she came to herself and raised her head and went right back into ecstasy, as though she had a shock. The ecstasy lasted for about one more hour." On December 10, 1935, the author spent the after¬noon with Rose; she swooned into ecstasy, remained so for a few minutes, revived and swooned back again. Whenever she fell into ecstasy, the phenomenon of Weight immediately manifested itself and increased in proportion with the depth of that state. The frequency of her ecstasies made it a fine occasion to experiment. When she entered into one of these I would place my left hand on her upper right arm, the only one she could use, and with the other hold her own. Then I could feel the rigidity coming down her arm like a wave. As it came down the sensation of coldness followed. The wave movement reached in succession the hand, the fingers, and last of all the thumb. Then, one could no longer lift her, and the deeper she went into that state, the tighter she was fixed to her bed. Rigidity and Weight seemed to come and go simultaneously. When she was coming out of ecstasy, the flexibility began at the extremities, starting with the thumb and working its way back, in the direction whence it had come. With regard to the phenomenon of Weight, I once asked Rose if she felt the Weight, as she was coming back to her senses. The answer was that her head was both heavy and hard to move; but that sensation was felt only in the very act of recovering, when her soul seemed to come back to its own. After experimenting for a while, I placed myself at the foot of the bed and without looking at her, I moved it very slowly left and right. It was harder to move when she entered into ecstasy and moved more freely as she came out of it. The mother was sitting at her bedside, facing me, she was expert in reading the expression of her daughter. She could tell at a glance, whether Rose had fallen into ecstasy or into a fainting spell. But I soon realized that by moving the bed, I could detect the "ins" and "outs" of ecstasy sooner than the mother. The bed conveyed the power of Weight sooner than it could be expressed in Rose's face. As I repeated the experiments, over and over again, I soon noticed not only that the bed was hard to move, but that it reacted in the opposite direction. If I moved it eight or ten inches and released it, the bed rolled back into place, of its own accord. I repeated this experiment many times, before calling Mrs. Ferron's attention to it. When the experiment proved a certainty, I told the mother to watch my hands; I moved the bed and loosened my hold suddenly; then the bed, like a faithful soldier who returns to the ranks, rolled back in an even speed to the very spot where it had been. I looked at the mother sternly and said: "Did you move that bed?" The mother was two feet away from it and facing me. She looked at me and with a half choked, "No"; she arose, hurried into the kitchen and was heard whispering the marvels she had seen. 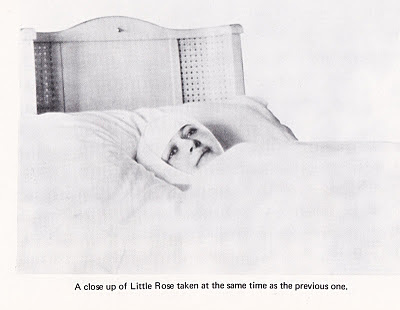 The phenomenon of Albertine's wheel chair had been repeated by Rose's rolling bed. When these experiments were made, the phenomenon of Weight was nothing new. All those familiar with the life of Rose knew about it. Three years earlier, the author had written to the Bishop and called his attention to it in the following words: "Fri¬day, November 25, 1932, I spent the afternoon with Rose Ferron. At 3: 30 P.M., I asked the lady who was there if Rose was still heavy while in ecstasy. As she answered in the affirmative, I tried to lift :'er. First, I placed my hands under her neck, so both hands would overlap. When I tried to lift her, she stiffened, and I felt that if I pulled too hard, her neck would break, rather than yield. Then I placed my hands on each side of her shoulders and tried to lift her, using enough strength to realize that she could not be moved." "Fifteen minutes later, I felt I should try again and see if I could not succeed, so I passed my hands under her shoulders, and tried again to lift her, but in vain. I said to the lady who was there, 'I believe she cannot be moved: She smiled and replied: 'Two of us tried and it was impossible: Meanwhile, Mrs. Ferron had come into the room and she added: 'She is simply nailed there!' If such was the case, I felt I should try again and put all my strength, so that I could say: 'I have tried my level best and failed,' so, I pushed my hands under her shoulder blades with great difficulty (my hands could not get any further than the wrist) and after bracing myself against the bed, I pulled with all my strength. Had I tried to lift a five ton truck, I would have been more successful. Not a move was experienced by Rose. She simply couldn't be lifted when in ecstasy. And yet the girl surely does not weigh more than seventy-five pounds. This beautiful mystical phenomenon of Weight is not something exceptional produced for my benefit. It takes place every Friday afternoon and therefore can easily be verified by anybody." 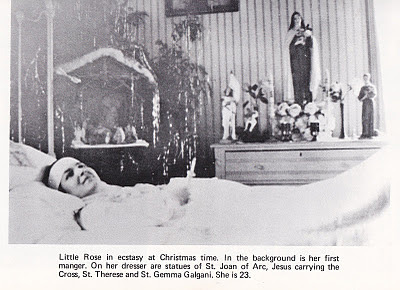 On October 24, 1934, during the afternoon, while Rose was in ecstasy, her father and I tried to lift her in bed. He stood on one side and I on the other. On a given signal, we tried to raise the bed. We tried repeatedly, and used all our strength, all to no avail. Rose could not be lifted. Still, the bed was not completely immovable, for one side raised about an inch more than the other. Apparently, we did not use the same strength at the same time. There was nothing that tied the bed to the floor, save that mysterious power which seemed to be under Rose. But the feeling I experienced would not have been different, had Rose's bed been tied to the floor, with a rope under her. So far, we have been dealing with the phenomenon of Weight. As we have said in the beginning, it is one of the distinguishing features between divine and natural ecstasy. It corresponds to the phenomenon of Levitation, by which ecstatics are seen rising and floating in the air, or to that by which ecstatics give out sweet scenting odor of an unknown origin or last of all, that by which they are transfigured with light, as though God wished to glorify them on earth, as he did formerly in the case of his beloved Son. All the above observations on Rose's ecstasies show them to be marked by the phenomenon of Weight. Rose can offer no better credentials; that alone suffices to prove that her ecstasies are not natural. While emphasizing the genuineness of her ecstasies, the reader must not forget that ecstasy is only a charism or gift and that by itself does not sanctify. You must look to virtue and especially to heroic virtue for sanctification and holiness. A man from a western city, an admirer of Rose, and one of her benefactors, spoke to his pastor about her. The priest listened and said: "Ask her prayers for two or three persons of this parish; they are hard cases." The telephone rang, Rose answered, the message was delivered. A few days later, the pastor was on his way to say Mass, it was 6 A.M. There, on the church steps, four persons were waiting for him, they had been waiting since four in the morning. When the gentleman from the West called on Rose he told her what happened. 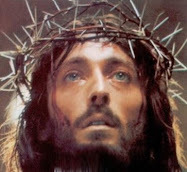 "If he knew," answered Rose, "what that has cost me! . .. Don't tell him, he might be sorry." The life of Rose is an unending story of vicarious sufferings. Rose believed in the communion of the Saints, but she thought more of replenishing the treasury of the Mint, than of tak¬ing from it without contributing her share. The following incident surprised me. It took place while Rose was in ecstasy. She was suffering for one of her sisters, or rather she had taken upon herself the pains of this sister. It was a confinement case. The mother and father were there, observing the contor¬tions and expressions of pain that are usual in such instances. According to the parents, the representa-tion was identical. During the ordeal, Rose was bloated immensely. "Look," said the mother, «her bones are out of place!" . .. She was then pointing to a bone in the center of Rose's abdomen. «It is her hip bone," said the mother, . .. "What! ... Her hip bone?" . .. "Yes," she retorted, ... "feel it." ... Then she hammered on it with her knuckles. As I looked at the father, he said, «It's true." . .. I felt it as he touched it himself. Like the mother, I hammered on it with my knuckles three or four times and felt it was the upper part of the hip bone; as I knocked, I could feel the concavity of its inner sur¬face. I had often heard the mother say that Rose's bones were out of place, but I never thought it was to that extent. This phenomenon does not seem possible; but in mysticism, it is an ordinary thing. St. John of the Cross, the Father of Mystical Theology, says that it always accompanies the ravishments of mystics when they are not completely purified by the "Night of the Soul." You may adorn it with the virtues and perfection of Thy own Immaculate Heart. I also have also published an additional in depth article on Marie Rose Ferron, entitled "Marie Rose Ferron- American Mystic, Stigmatic and Visionary"
Or, you may click here for Part 1 of this article. 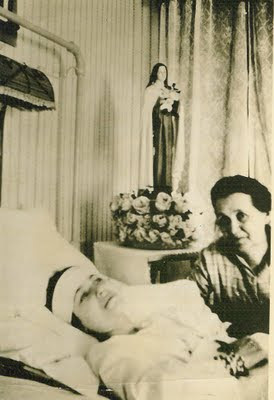 “To save souls, one would do anything, sacrifice anything, so together let us help Him, the One we love, to give Him many souls” –Marie Rose Ferron, September 21, 1921.
the Apostolate is very pleased to see you have taken a great interest in the life of Little Rose and have added a Part 2 for continued comments. Thanks for your comments and especially for the clarification concerning present state of the proposed cause of Marie Rose Ferron. 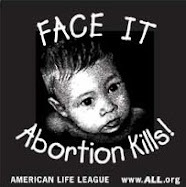 I pray that Little Rose may soon be raised to the altars, if, of course, it is God's will. May God bless you and your apostolate! To those you entire this Site about Little Rose. Little Rose's anniversary mass will be held on May 23rd at the Holy Family Church in Woonsocket, RI at the 9:30 mass. We pray that many will attend to show their love and support for this "Movement" and to show the Diocese of Providence that Little Rose continues to be a "Victim Soul" for this Diocese. Thanks so much for passing along the information! Little Rose has been a very significant source of comfort to our family. We pray to her regularly. We definitely feel she serves as a petitioner for our prayers. There are countless examples of our prayers being answered-even if it is to have the strength to accept God's will. May we all honor Little Rose and her ultimate sacrifice by helping others in service to God. Thank you for your comments. It is really remarkable how many people have had a devotion to Marie-Rose over the years, and have sought her intercession. For example, as you probaly know, the book "Tape Recorded Little Rose Testimonies" has literally hundreds of testimonies from those devoted to her. And this is just a small token of the many people who have been devoted to her over the years since her holy death. Marie Rose Ferron, pray for us! Has there been any official documentation on the catholic church's standing on Marie Rose Ferron? I visited her home as a child, and would love to have any information regarding the local bishops recommendation or progress on her cause. I have been unable to find anything myself online. Thank you! May God bless you. To reply to your question, no, there has been no statements from the Providence Archdiocese concerning Marie Rose Ferron in the past 40+ years or so, however there is a movement underway at this moment amonsgst the faithful and those devoted to her who are collecting and putting together a extensive portfolio giving evidence over the years of the popular "cult" and devotion amongst the faithful since her death (sometimes referred to in the Church as a "popular cult of devotion") along with documents that support Marie Rose's heroic virtues and solid piety. Those devoted to her holy memory pray that the Archdiocese will soon open her cause for beatification/canonisation. Best wishes and may God blessw you and your loved ones. I'm doing research in order to write a biography of Little Rose. You mention the book "Tape Recorded Little Rose Testimonies." Any idea where I could buy a copy? I see a few libraries it is listed at in the WorldCat database, but I'd like to own a copy if at all possible. Besides three or four books about Rose, are there any particular resources you recomend? Thanks for any guidance you can give! I am happy to hear of your devotion to Marie Rose Ferron! To reply to your question, yes, the book "Tape Recorded Little Rose Testimonies" is indeed very difficult to find. 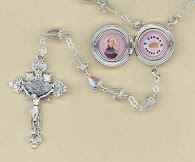 The thing is, as far as obtaining source information on the holy life of Little Rose, if you don't already have them I would first recommend Fr. Boyers book, and then also Jeanne Bonin's book--both of which are easily obtainable. For while the book "Tape Recorded Little Rose Testimonies" is interesting in the many details presented, to be honest it is very difficult to read because the text in the book is extremely small. I have pretty good eyesight, but I can only read a page or so at a time because the text is so tiny. So, for this reason I'm not really that quick to recommend this particular book, though I think Fr. Boyers and Jeanine Savard Bonin's books are excellent.